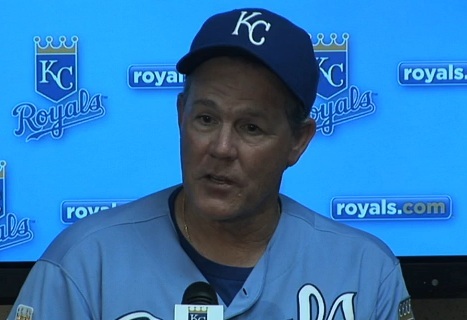 Chatty in Kansas City: How Does Yost Feel About Fraternization, Anyway? Rex Hudler is a throwback. Well, not actually a throwback, since he was drafted in 1978 and retired 20 years later, but he’s long harbored an old-school ethos that mandates ballplayers play hard, rookies keep quiet and, among other things, one doesn’t get friendly with one’s opponents. Hudler has since learned the limits of his role (fighting with colleagues = bad), but he’s not shy about explaining what the Code should look like on the field. It helps that his partner in the Kansas City booth, Ryan Lefebvre, shares many of his ideals. A pet peeve of theirs that recently garnered attention is the aforementioned fraternization between players on competing teams. Last Monday, Anaheim’s Kendrys Morales stroked a three-run, eighth-inning single to break a 3-3 tie, and when he advanced to second quickly fell into conversation with Kansas City’s middle infielders, Alcides Escobar and Yunieski Betancourt. To this point, this story is barely newsworthy beyond a couple of old-school broadcasters having opinions. It’s what happened next that proved revelatory: Royals manager Ned Yost seemingly pivoted, and agreed with them. There are a few things going on here. 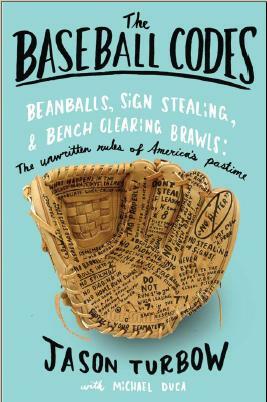 Foremost are the attempts by Hudler and Lefebvre (who is the son of former big leaguer Jim Lefebvre) not just to describe an old-school baseball mentality, but to criticize current players for failing to embrace it. That’s their job, if they see it that way, and the fact that the repeat offenders in Fox’s account hail from Venezuela and Cuba, respectively, could speak to the fact that the game they learned contains no such tenets, and it would take an old-school clubhouse leader to inform them of same. Much more interesting, however, is Yost’s apparent willingness to bend to the broadcaster’s wishes. Yost spent six seasons in the big leagues, and is in his ninth campaign as a major league manager. He knows baseball, he knows the Code and he’s seen every Royals game this year. If the chattiness of his infielders hadn’t gotten on his nerves before now, he has no business changing course simply because team broadcasters called for it. Had Yost been leaning that way anyway, and the broadcast team simply pushed him over the edge, it merits questioning just how dialed in he is to what’s going on with his team. There’s a place in baseball for the old-school. It seems to be shrinking by the day, but it’s there, and guys like Hudler and Lefebvre should be commended for doing what they feel they must to uphold it. That said, it’s 2012, and the game is different than it was in 1992 or 1972 or 1952. That’s the nature and the beauty of the unwritten rules—they’re malleable to their era, and change with every generation. If Ned Yost is willing to allow some in-game chatter between his players and their opponents, that’s his right. Last week’s episode illustrates mainly that he needs to figure out on which side of the Code he comes down. Update 8-05: Well, at least Yost doesn’t have to worry about Betancourt chatting up opponents any more. Hmmm. Well, wherever you stand on the issue…I’m sure other big league managers who picked up on this are filing it under: HOW NOT TO MANAGE A CODE VIOLATION. None of this would matter if the Royals were winning.As it sits…the broadcasters just greased the tracks for Yosts’ exit.